Cranberries are one traditional item often included on a Christmas tree. But many different berries can be threaded onto strings to decorate your tree this year. Many different autumnal and winter berries can be used to decorate your tree for the festive season. Just make sure that if you are using non-edible berries that these are kept out of the reach of young children and pets, and wash your hands after handling them. Other polytunnel grown produce can also be used inventively to decorate a Christmas tree in a natural yet beautiful way. For example, you may already have considered stringing up chilli peppers to dry these for later use. Why not combine form and function by placing strings of drying chilli peppers on your Christmas tree this year? You can also use seeds from polytunnel-grown produce to create strings or baubles for your Christmas tree. Seeds such as dried peas or beans could be painted with natural paints to create chains for your Christmas tree, and strung in a similar way to berries on your tree. Seeds or the pits from fruits such as plums or cherries can also be strung and painted, or used to stuff sewed fabric Christmas tree decorations. If you have done some pruning in your polytunnel, the pruned twigs can also be used to create some beautiful Christmas tree decorations. For example, you could cut twigs into different lengths and place them in ascending order of length from top to bottom, tying these together to create a two dimensional Christmas tree shape with string and hanging this from your tree. Bendy sticks can also be shaped into circles and used to create miniature wreaths for your tree, decorated with evergreen leaves and berries. Larger branches that have been pruned from your polytunnel or elsewhere in your garden can also be used to create beautiful Christmas decorations. Thin circles sawn from a branch can be used to create hanging disks that can look amazing on your tree. These can be painted in any way you wish, but you could also consider decorating these using pyrography (designs burnt into the wood). Pyrography sets can be bought online. 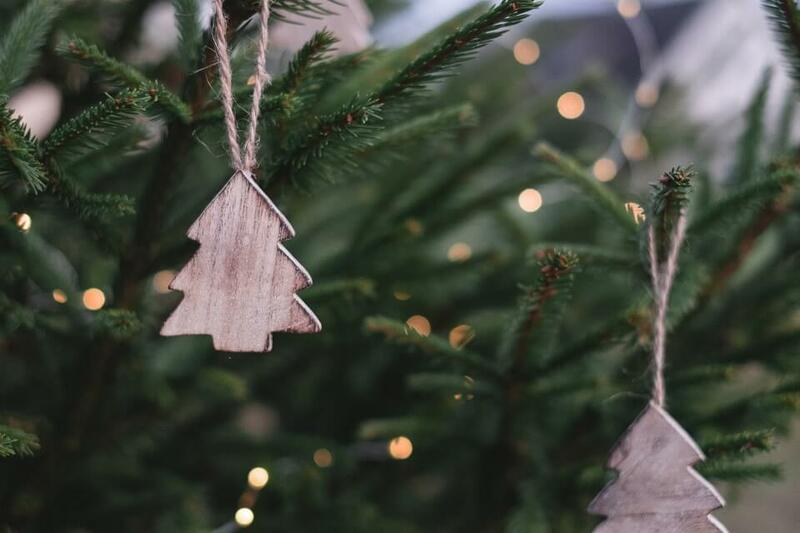 Learning the basics of this skill is easier than you may imagine, and could be a wonderful way to up the stakes and make an even better natural-look Christmas tree this year. How do you use items from your polytunnel for Christmas tree decorations? Let us know in the comments below.